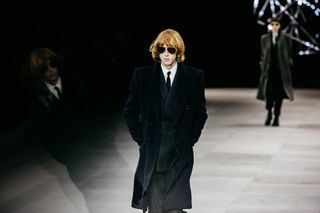 Hedi Slimane showed his first standalone menswear collection for Celine at the final show on the Paris Fashion Week Men’s FW19 schedule. 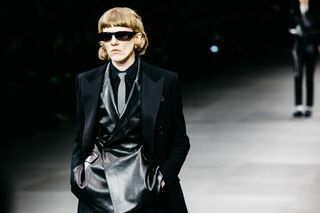 With Slimane, it can be easy to picture how everything is going to look in advance: skinny tailoring, louche models with hands in pockets, styling derived from musical subcultures, something about Los Angeles, a silver-foiled bomber, and black. 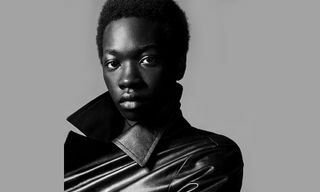 Lots of black. 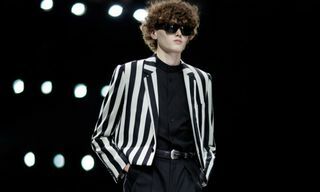 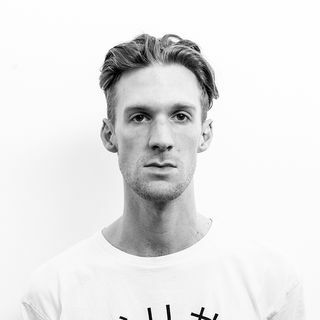 Slimane most likely defers to this look because a) he’s good at it, and b) it sells. 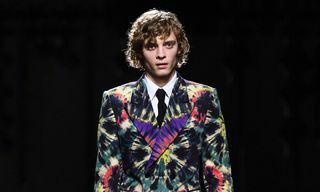 And in a fashion industry that fetishizes newness, you’ve got to give him due credit for sticking to his guns. 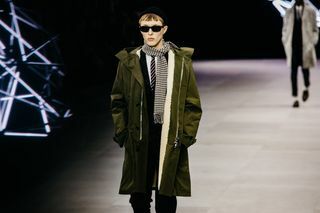 Celine’s FW19’s collection, however — titled “A London Diary: Polaroids of the British Youth” — proved that the divisive designer can adapt to new aesthetics, albeit subtly, by mining new eras, different style tribes, and unexpected musical icons. 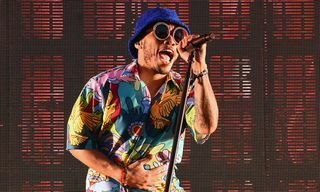 The show was set in the Place de la Concorde, with Paris’ most famous monuments twinkling in the background through floor-to-ceiling windows. 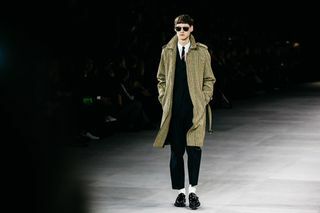 The show kicked off with a spiky metallic sphere, which, once lit, appeared to float down the runway, cueing an exclusively composed soundtrack by Canadian post-punk collective Crack Cloud to kick in at maximum volume. 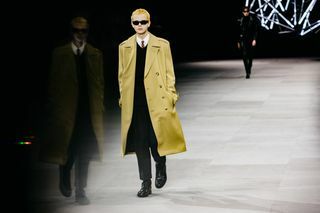 Eschewing the rakish shapes we’ve seen from Slimane in the past, many of Celine’s FW19 pants were refreshingly wide-cut, cropped at the shin (as seen at Dries Van Noten, too), and with pleats at the front. 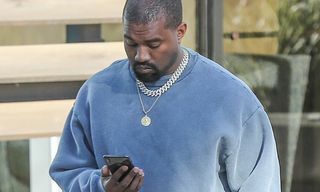 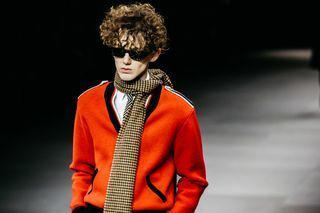 There were even a few surprising splashes of color, with some pants arriving in khaki and one pair of mid-wash denim jeans. 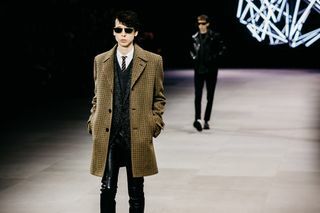 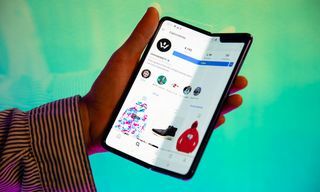 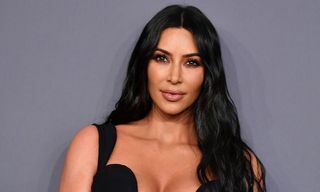 Elsewhere, things were tight and leathery, styled with white socks — arguably more Michael Jackson-inspired than the Louis Vuitton show — and with some jaw-dropping footwear, including high-rising leather-buckled boots, leopard-print tasseled loafers, and zebra-print lace-ups. 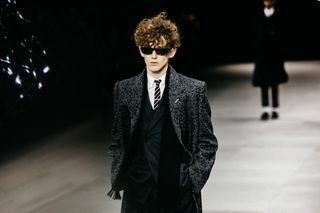 Like the collection’s name suggests, Slimane had clearly turned his eye to British subcultures, channeling ’60s mods through skinny ties and fishtail parkas with fleece lining. 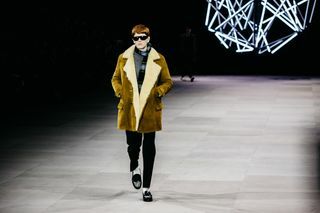 As one would expect of a Fall/Winter collection, the coats were the stars of the show. 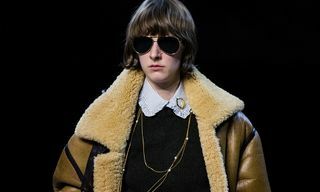 As well as the sure-to-be-coveted Celine parka, other highlights included a bejeweled check blazer, a leather jacket with checkerboard-print lapels and zips on the sleeves, and a yellow tiger-striped coat. 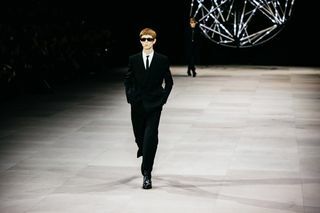 Preceding the final walk, legendary no wave saxophonist James Chance gave a solo performance, before Slimane’s mod squad stormed the runway all at once, closing the season with an array of silver sparkles, tight leathers, and animal prints cut to fresh dimensions and promising a new menswear chapter at Celine. 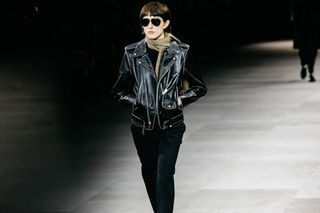 Elsewhere in Paris, sacai presented gear for the anti-Marie Kondo set.